I am now on the Wahoo TICKR and it seems to be a bit more reliable, with the added bonus of being cheaper and providing bluetooth connectivity. no running dynamics is a bit of a fail IMO – agreed the data might not be that actionable but more data is good…right ? plus running dynamics was one of the things that singled out the Garmin HRM over the other dual band ones. Yeah, I only got the HRM-Run because of the running dynamics. The strap died after 6 months so I am back to use the optical Polar OH1 and get my run dynamics through a footpod. I only wear my Garmin HRM when I want running dynamics. The TICKR is already dual band and the strap is much more comfortable. based on their comments to Ray they imply this is a launching off point for new HR straps and it is likely that the HRM-RUN and perhaps the HRM-SWIM will be seeing updates next. Again battery closed with the bolts, no coin opened? I choose tickr, thanks. It’s better waterproofing, primarily important for swimming. While this strap doesn’t support swimming, Garmin knows that many people will use it for swimming under a tri-suit once they come out of the water. So they tend to place more importance on that than Wahoo, where it’s less likely. Just my guess. Given you only have to do it once every 3.5 years, I think I’ll take better waterproofing than not. I was actually thinking this is a plus point. I’ve gone through 3 Wahoo HR straps in the past 5 years, all failed due to water ingress (I sweat a lot). I actually moved to using a TICKR FIT for this reason, I figured as it was a sealed unit, it would be better waterproofed. 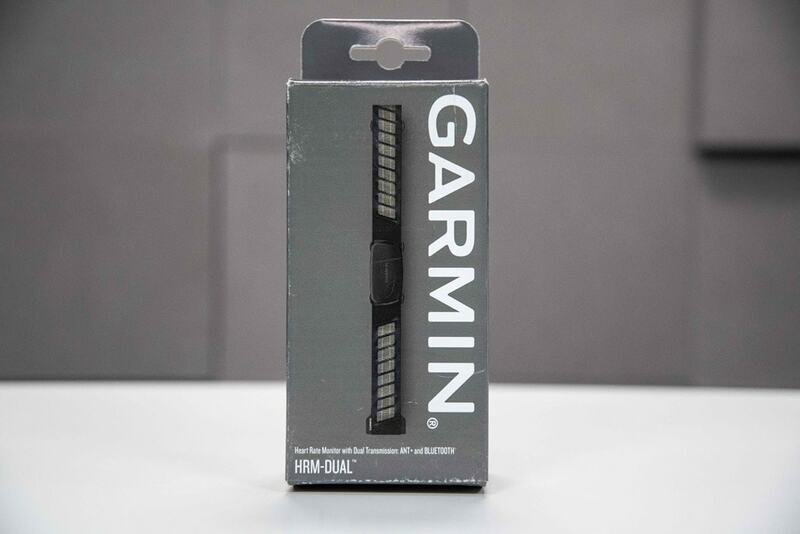 If you plan on changing the battery in a Garmin HRM, you had better go ahead and order the precision German design screwdriver that Garmin recommends on it’s support page. After stripping a screw head, I ordered said tool. Incredibly well made. OK, this is good to know. I came here to ask about the waterproof status for tri usage. But it is a question of durability. Latest after the 5th battery change, you will have problems with the screws. I just had to retire mine today because of exactly that problem. Had to use it for the last year with 2 screws only – now its dead. Ok then no problem if you want a more robust solution for waterproofing but PLEASE, PLEASE, PLEASE replace those tiny invisible bolts with something I can really screw and unscrew, and eventually replace in case of need. For me it’s a “simply doesn’t work” conclusion, full stop. The problem is not that you have to do it every 3.5years, but that when the time comes to do it, it’s not possible to open the screws. That’s my experience and I have already a bundle of old HR straps, which I cannot open. Have to agree, tiny and soft screws are hopeless. One question: Did the Bluetooth SIG change the term Bluetooth Smart to Bluetooth Low Energy? All the references to Bluetooth Smart on their site seems to be from a few years ago. Hmm, never noticed – but it does indeed look like they changed it back to Bluetooth Low Energy. Which is funny, because that’s technically what it started as. The brand guideline was changed maybe 2-3 years ago. There is some 33 000 member companies in the Bluetooth SIG so every time the brand guideline is updated it’s a big thing and it is noted. Everybody should update their documentation and branding with next launch. When BLE was launched it was necessary to differ between devices with Bluetooth classic and BLE and those with only BLE. Today this is no longer necessary as the ecosystem is well established. Thus the acceptance of BLE. 5.1 that was launched last week has intereting applications in sports. Hmm…perhaps not everyone quite noticed. I no longer actively work on BT or talk about in since as few years. Sometimes a stray comment on these pages, more a service to you as I know your passion for these technologies. Is the business side of the strap the normal affair with two plasticy patches that either side of the middle? I ask because these quickly started to come away on my Tickr strap, whereas (so far) my Garmin straps seem to be more robust here. And am I the only one who still can’t work out how to tighten these straps? It doesn’t matter which of the three bits of the strap between the sliders I pull, I always seem to end up lengthening it or finishing up with a big loop. Correct, the side with the patches goes onto you, and that’s where the sensing happens. In general, I think the Garmin strap is slightly more well built than the Wahoo strap portion specifically. Whether it’s worth $20 more, not so sure. Hmm, I had my first Garmin strap start to peel within several months. The second one seems to be holding up a little better. Also tried a Polar soft strap where you had to X-Acto the rubber around the snap contacts. Cheaper, but that broke as well. Would this strap enable the use of ANT+ speed/cadence things with an apple watch /apple tv ? It doesn’t much change that equation, since it’s still another BLE sensor. So kinda like swapping like for like. I think he means does it rebroadcast ant+ as ble, which it does not I believe. What an odd product to release in 2019. Starting on the lowest low end device, no support for any of the swimming and running bits. Not even using their new integrated strap design which I must admit I like despite the replacability issue. And then adding Bluetooth but not supporting multiple devices. It’s like they had a meeting and decided to aim for the worst bits of all current devices. What are they up to? Even as a bundle device I’d still be annoyed with it for being so crap in every single way. On the bright side, the product group responsible are clearly au fait with the concept of “fries with that?” so when they are fired for producing the most mediocre product of the year (yes, it’s only January and I’m calling it already) they have job options at McDonald’s. I think you’re probably overthinking it. 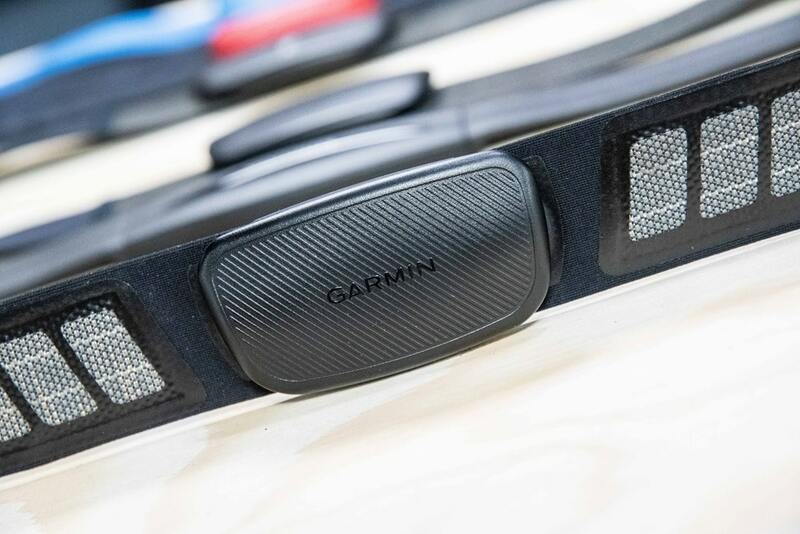 This same strap physically (save the fancy grooves on the front and the BLE inside) is that Garmin has been bundling for years. Nobody really seemed to care (minus those that kills their straps as noted above, but it seems every company has strap killers). This is simply a minor change for them that keeps their straps being acquired as part of a bundle. The vast majority of people (like 95%+) don’t care about things like Running Dynamics or triathlon swims. So, it makes sense to start with the easiest. While this strap is boring from a geek standpoint, it’s super smart from a business standpoint. They continue to get the $50+ upsell revenue on bundles that they’d probably have been losing, especially on cycling bundles. Ideal device to take to the gym (my local one or my own “shed”) when want to Zwift on an iPad that only “natively” does BLE but still see HR in my Garmin device. Bit annoying you lose running dynamics but on a treadmill it is “predictable” and on a bike non applicable. PS I see it also marks an acknowledgement from Garmin that in many use cases these days you “need” a BLE device if want HR from a strap. Take my iPhone for a start! Quick Off-topic. How many simultaneous/concurrent Ant+ connections can the FENIX 5x+ have? Trying to connect it to: Optical HR + Speed + Cad + Varia Radar + Varia Vision + Varia Headlight + Tempe + PowerPod (powermeter) and it seems too many things happening at the same time and some things get disconnected eventually. Is there a limit for Ant+ connections? I believe it’s 8 concurrent ANT+ connections. At least, last I checked (it’s been a while), that’s what the chipset supported. I think though there may be one held in reserve for broadcasting HR. Also, CIQ apps that leverage ANT+ (like Stryd/RunScribe/etc…) would impact that too. Now, what the chipset supports is totally different than what the watch processor can handle. For example, some of the Edge units were infamous primarily back in its early days for dropping connections once too many things got connected. However, I would think what you’re trying to do is pretty close to the ‘expected perfect Garmin scenario’. Is that a separate speed/cad sensor, or all in one? Also – one other tidbit is that I’d trying disabling any Garmin Connect IQ stuffs you have. Sometimes that’s also a prime trouble-maker for droppage issues. It’s the newest Garmin separated (wireless) sensors for Speed and Cadence. Power meter + speed + cadence + HR + VariaVision + VariaHeadlight = 6 Guess I’ll just not connect Tempe and will connect the VariaRadar only directly to VariaVision. Funny thing is a tried to Google for that info (number of concurrent connections) and wasn’t able to find the answer. Imagine if it had all the metrics from HRM-RUN and you could get that in to Apple Health. While this, on its own, doesn’t really mean much it does give me home that we will see the HRM-Run/Tri get dual signals in the near future. Thanks! Though, I’d argue that one should always have desserts around. This is very true. Especially with some the cake photos you also post! 1) if I have a ANT+/BLE capable main unit (for example, bike computer), which channel is more preferable (e.g. reliable) with this strap – ANT+ or BLE? 2) Why literally NO chest strap provide any information on how much battery is there? Considering that it lasts for several years, it’s annoying to grab a strap and not have the complete data because it died mid-race. 1) In general, most companies would recommend ANT+ first, since there’s ‘unlimited’ connectivity channels there and in most cases I’ve seen companies are giving better range on ANT+. However, in some rare cases, folks will have better connectivity with Bluetooth Smart. 2) I’m pretty sure my Garmin HRM-SWIM provided it the last time I was near dead on batteries. Though, maybe that was just in my head. 1. To a Garmin device ANT+ will be the default so I would use that even though I have a device (Forerunner 935) that can pick up both as it frees up the BLE channel for something else that can. For instance on Zwift would use the BLE to Zwift on an iPad but have the ANT+ if also wanted to record on my Garmin device. 2. My HRM-Tri has been reporting low battery through my connected Garmin wearable for the last week or so. Job for me later is to replace it. As such it should not die mid race well unless that is some 24 hour or longer thing. 2. Unfortunate, that HRM-Tri is ANT+ – only. Does anybody know if there’s a BLE-compatible strap, that can report battery status? I think the Wahoo TickrX has some funky lights for such. I need to read up on what they mean. I feel my original battery in it could be on the way out although don’t use it very often. I find it generally takes a sensor several minutes of connection for the battery status to come through. I’m not sure whether this is waiting for the voltage to stabilize, or whether the ANT+ protocol send this information infrequently. The actual monitor and the way it has two push studs to attach it to the strap makes it looks very much like the Wahoo one. 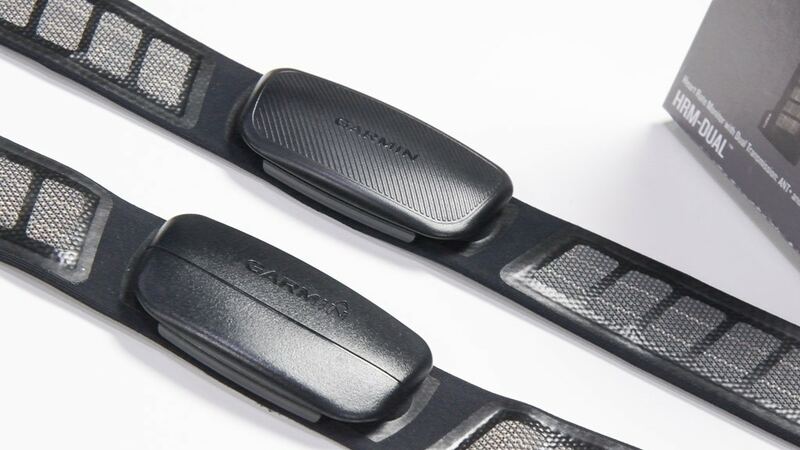 Do they fit each other and could you use the Garmin strap with a Wahoo monitor? Curious. Yup, you can mix and match. Interesting that you say that GARMIN HRM-RUN gives accurate HRV/RR data. Elite HRV app says that only the old premium and HRM-Tri give that from the Garmin line up. indeed the HRMRun gets complaints about RR smoothing while the HRMTri does not. Is Garmin telling porkies? or Elite? I’m just saying it provides HRV data. Whether or not it’s accurate is a funny thing. I’ve done some testing with HRV data and everyone seems to disagree. I’m honestly not sure I trust anyone. Does it send HRV data over BLE and ANT+? The Wahoo Tickr apparently only sends the HRV data over BLE, even thought HR data is sent over both. ^By “it”, I mean this new Garmin unit – not the Viiiva referred to in the previous post. Fun move. I bought recently one Dual Strap from Decathlon and it looks like a copy Garmin did but for much more money to spend. I actually was missing the running dynamics when is used it, but i’m part of those 5%. Anyway, lately i was looking for another way to get my heartrate measured during swim with an alternative to the Garmin Swim or Tri, which are very annoying to wear and secure. I came up with the idea, to buy the Polar OH1 and was thinking that maybe i can combine both data. Until now i did not succeed by using Polar Flow and GC and the respective download files. 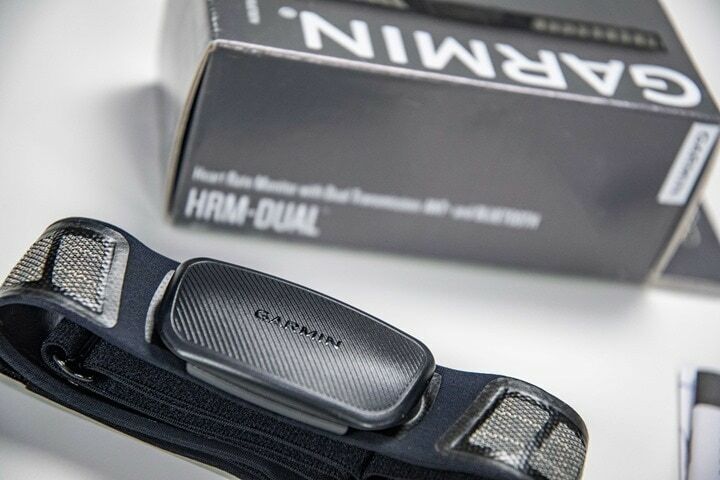 So i had hope that Garmin comes up with a Dual Strap including Dynamics and Swimmemory or even better an optical solution like the OH1 which is really easy to wear and to use in the water and gives nice HR over time in the memory to synchronize with the watch data. Is this not compatible with Edge 820? It’s compatible with every Garmin device ever made. Should be compatible with anything that can pick up ANT+ and/or BLE HR signals. Edge 820 certainly can. BTW on lack of Running Dynamics (clearly bit disappointing for me that usually wears an HRM-Tri with a watch that picks up RD) is there some standards issue here? Garmin RD is only picked up by Garmin devices isn’t it so if going over BLE do “standard” protocols even exist? No BLE standard exists, though the ANT+ one does, but nobody else seems to want to adopt it. Stryd doesn’t want to adopt it for reasons that never made sense to me (on so many levels). Well they probably need to agree on how to compute VO first which is always way lower on a Stryd and I always thought the main reason why Stryd power is so much lower than Garmin power despite then being heavily correlated in all tests I have done using your analyzer tool ! They don’t have to agree, just transmit something. 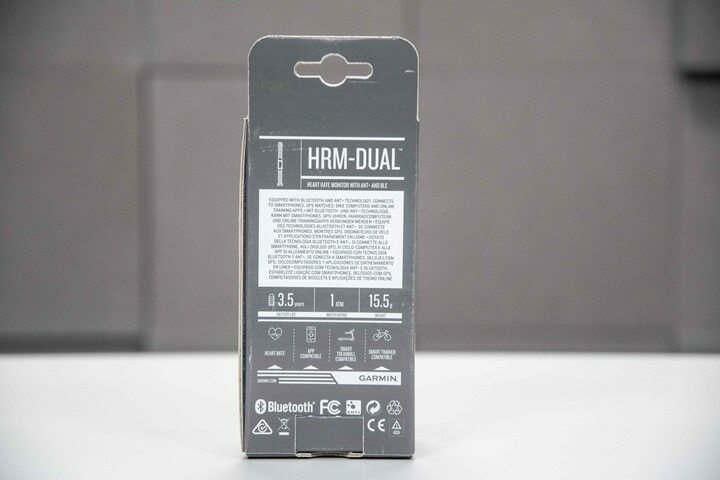 Bought Decathlon Geonaute dual hrm (barely used 2nd hand unit for 15usd) [40usd brand new in Decathlon Singapore] which is working flawless with Garmin 935. The strap is firm and I wash it after every run with flowing water. Kudos for the people who mentioned it. I may have missed it but, when is it available? I haven’t worn it yet, but I purchased a Magene MHR10 Dual Mode (ANT+ & BLE) HRM direct from China via AliExpress for $20.48 (free shipping). I have one of their cadence monitors on my trainer. Works better than the Garmin it replaced. Interesting.. For $20, I might get this instead. I’m really happy with my Garmin HR-RUN (using a Polar strap! ), but I really wanted to be able to use it with an iPad. Have you compared it with another chest strap? I’d like to know if it’s accurate. What about HRV? I went ahead and tried out my Magene HRM today, after letting it sit in a corner for a couple of months. Caveat 1: Strap is about 2 to 3 inches shorter than Garmin. Almost too short for me. Caveat 2: There is a nearly invisible plastic disc in the battery housing that has to be removed before current will flow. Almost missed it. Made me think I was out $20. During the workout, I wore a Wahoo Blue HRM in addition to the Magene. Just eyeballing it, the numbers agreed between the two straps. AFAIK, HRV is not part of the deal. Changing the battery doesn’t even require a coin, just a fingernail. Turns out there are reviews on the device in YouTube. Someone below quoted the Decathlon dual HRM as costing £8, which is something like 10 bucks. Their website has a price of £29.99 or $40, which makes a bit more sense. You can buy the unit only, no strap, intended to snap onto a t-shirt fitted with studs and contracts, for standard price of £14 currently reduced to £8 (which I think might be because you can’t actually buy the shirt any more). I am one of those people who eats through straps. Is there some secret to getting a replacement Garmin strap? Last time I tried they were nigh on impossible to track down, without paying the same price as the strap + sensor. I too am one of those people that eats through the straps. In one way or another they just fall apart with me. I have had no luck at all getting replacement straps without the transmitter. I’ve tried a few from ebay (non garmin) but they just don’t work reliably on the sweat fest of the turbo. If anyone does know a source for just the straps in the UK I’d be mega grateful if you would pass on the info. Same here, at some point they all fail. If i need a new strap i just order the Polar Soft strap. Works fine with the Garmin sensor and can be bought for under 20 GBP. That’s exactly what I did. I got the Polar strap for around $20 and never looked back. And since then, I do rinse it off after workouts once/twice a week. It’s been working for 3/4 years without a glitch. I’m running with a TICKR FIT and its been excellent. Even in the freezing cold today, it tracked my HR (against RPE) as I would have expected. No issues with hanging onto cadence etc like my OH1 use to. Surely it cant be long until garmin release an optical HR ?! They have the core tech in their watches, it cant take a huge amount to move that out into a separate device. There were hints that the TICKR FIT may get additional features such as caching – they havent appeared. The Rhythm 24 still seems to be an epic fail. There’s a gap there for garmin to jump into…. I haven’t loved my Tickr. The button clasp has randomly come undone mid effort a few times. It eventually just stopped being accurate despite battery changes and Wahoo replaced it in warranty with minimal conversation. That told me it isn’t a unique thing for them. Also see the Tickr need a battery often. I will grab this when it’s time. 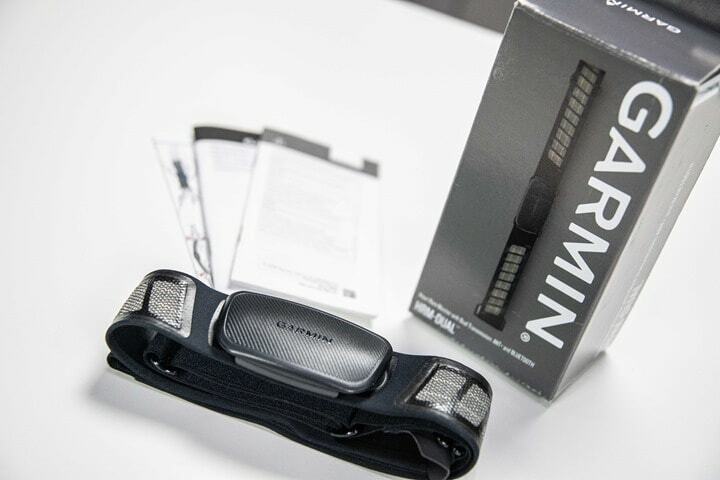 Did you find the need to use some tape or band-aids on the strap near the sensor to prevent the strap from rubbing your skin raw during a run? I believe this was a hack you or The Girl used with the HRM-RUN years ago. I might get to that point by the end of my trip here in Cape Town, but hard to say. 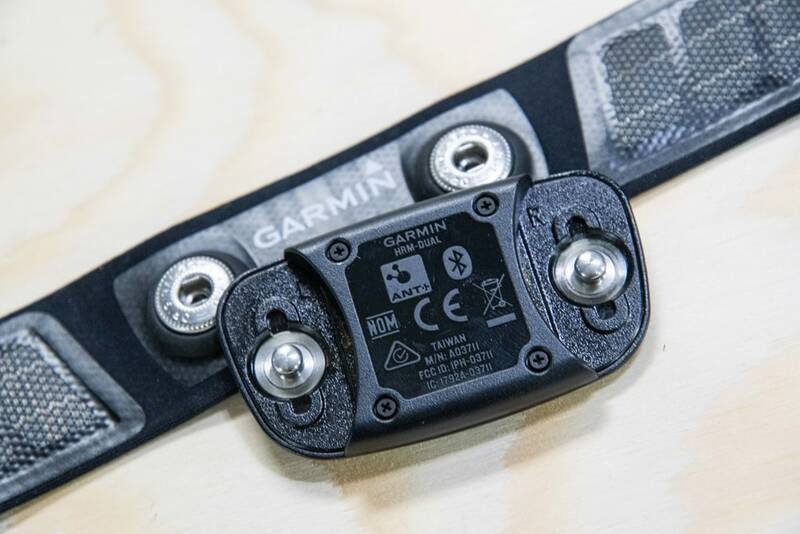 I was going to ask this too… looks the same shape as the old Garmin sensor = chafing every time. I could tape it (pod to strap, with glide on skin underneath) to reduce it but in the end I stopped wearing it. Caveats maybe: I lived in Queensland, Australia at the time = always sweaty, though I rinsed it every time and washed it properly regularly. Also, being female, different anatomy and the overlapping bra strap was a pretty much unavoidable problem. The Suunto pod is round and I have fewer issues (though, I still rarely bother wearing it as I got out of the habit). Can you stop teasing us with COROS APEX data and publish the review! Looking for a new watch and need that to complete my search. So soon! Next post is my Vantage M review, and then following immediately after that is APEX review. I imagine that you know about the upcoming update for Coros Apex in Febrary that, if they don’t delay it, will add navigation and other improvements to the Apex. I believe that it’ll be more useful for your readers to wait a bit till the update. If i remember well, they mentioned that it’ll be released in mid-febrary. I do – and have had calls with them about it. Though, those features were actually slated for December, then January, then February. I honestly don’t expect the addition of those features to meaningfully change my view of the watch. And, if/when they do release them – I can always add them down the road. Would love to see full reviews of the COROS Apex, Lezyne Mega units etc. but still its your site Ray and your content is much appreciated! Also, these seem to work better for me than a traditional strap: link to decathlon.co.uk no slipping when running and much more comfortable – not great if its really warm (unless you want to look like some kind of cyborg by wearing it with no t-shirt over it). Well, not everyone has Decathlon nearby. I do agree, they make some good options if you’ve got one (not in US yet). As noted by all the included data, that’s days away at most. My current plan is Polar Vantage M review Thurs or Friday, and then the next review out is COROS APEX. Unsure if it’ll be Friday or Mondayish. We’ll see. It took them four months to get me units after launch. Given I was plenty busy with other reviews with products in-hand, I wasn’t really in a rush (since they didn’t seem to be). Whereas Garmin (and many other companies) send me units months in advance. Doesn’t mean a review happens on launch day, but certainly helps the chances. Also, it took me about 3 hours to write this review (ignoring video), whereas a bike computer/watch review is considerably longer. It did take me more time to prep all the HR accuracy sections, but I did so in a way that allows me to re-use a chunk of that data for the Vantage and APEX reviews (though, I also have more unique data for each of those stretching back a bit further). Thanks for the review. As much as I hate to say it, chest straps/EKG sensors just work better than wrist-based optical HR monitors. I just documented a hard interval session whereby the Apple Watch 4 did great on the warm up, but as soon as the arm-swing picked way up, the watch simply lost my HR reading. It’s a bummer because, I don’t like wearing a chest strap. 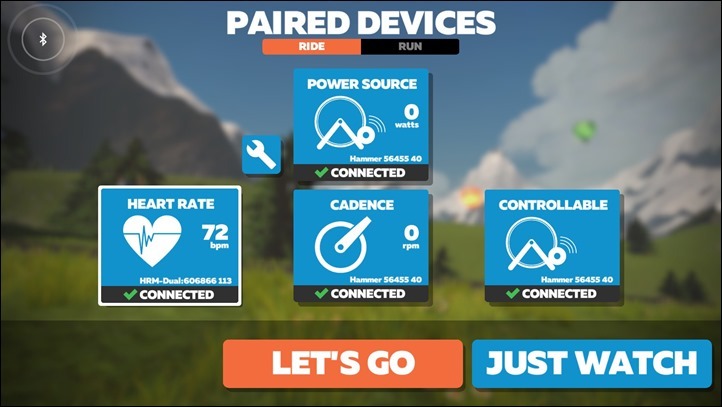 I don’t find I need the BT HR for Zwift cycling as I use Zwift on my PC and have an ANT+ adapter, but as I’ve recently started Zwift running using the ZwiftPod and an iPad, BT HR is on my radar. I’ve ordered a cheap BT HR off AliExpress. I’d rather have a single solution. My experiment will bring as soon as my HR completes its trip on a slow boat from China. 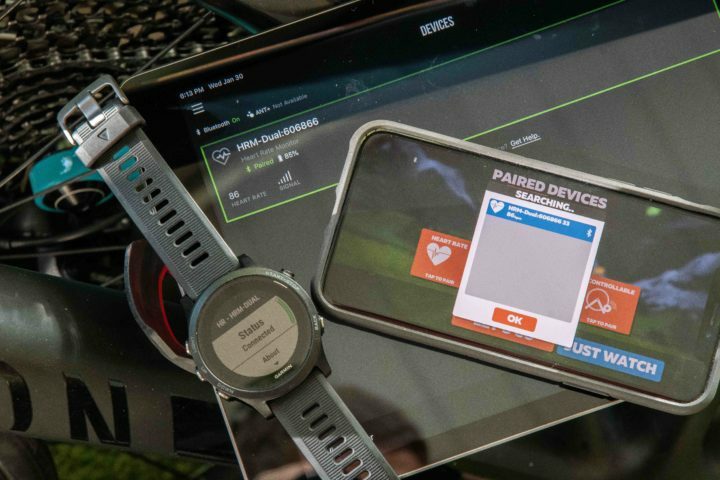 Does this allow me to broadcast HR to both my Fenix 3 and my Edge at the same time for when I am doing Tri and want to have HR up front on my Edge but also use multisport app on the Fenix to create a swim/bike/run file? But that’s not unique to the HRM-DUAL. Any of Garmin’s HR straps allow that. The F3 and Edge are both ANT+ friendly devices. If you swapped one of them out for a BTLE device, e.g. Polar, then yes you would need the dual. I still use a ~10 year old original Garmin HR strap, the rubbery plastic kind, and it’s always worked great. The only thing I’ve done is replace the 2032 and the elastic strap as needed. The reliability took a nosedive when they went to the ‘Deluxe” design and never recovered. I should add that I recently got a Scosche Rhythm24 (BT, ANT+, recording, HRV). It works fine too, but I gotta charge it and turn it on and off, and it’s flashing the whole time when in use. The old chest strap was way simple, and I find it less annoying than the arm band. Ray – I’m not sure if you’ve ever tested the Decathlon own brand model, but I lost a Garmin pod and bought one. I did some testing with other HR straps (Garmin HRM-Run, HRM-Tri and HRM3) and it was bang on. For dual transmission and decent accuracy as far as I can tell, at only £8 I really can’t see any reason to buy anything else?! I bought a few to counter any other future losses! I use it for all my cycling and other HR data (i.e. morning HRV scores), and only use the “run” and “tri” versions for actually running where running dynamics matters. Yup, I’ve got one sitting around. When I lived in Paris, Decathalon was a mere 5 minute bike ride away. There quite often. As noted though, they’re not in other parts of the world, mostly just Europe. Decathlon is also in the two last countries I have lived; Singapore where they have several massive (by local standards) stores and in the US where they have a medium sized store in downtown San Francisco and I believe they offer mail order all over the US now. There are three Decathlon stores in Berlin. One of them (at Alexanderplatz) is massive. There are many other large stores across Germany as well. After my garmin died I bought two decathlon straps and they’re flawless (one is now 4 years old and still works, had to buy another one because I couldn’t find it for a couple of weeks). They don’t cost 8 pounds though, that’s just the price of the transimetter unit. 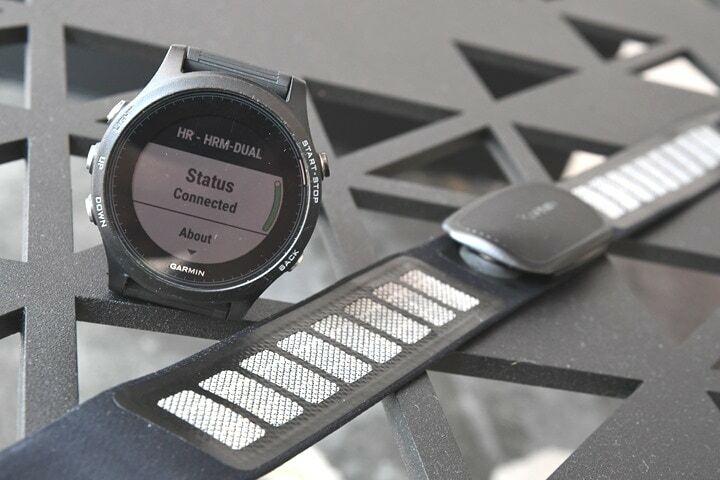 Woah – cool update from Garmin: Turns out they misspoke, the HRM-DUAL will indeed support not just dual ANT+/Bluetooth Smart, but two concurrent Bluetooth Smart connections as part of that. Just tested it. 1xZwift iOS on BT, 1xTrainerRoad iOS on BT, Garmin FR935 via ANT+. See attached pic. I added/updated a bit in the review as well. Interesting especially for those of us who like to check out multiple units on the same run/ride! So how can they achieve this when nobody else has seemingly yet managed it? Is it hardware or software or both? Wait! People wash their HRM straps? Wow. I must be a disgusting pig as I never do so. Should I want to pick up this habit, do folks do it by hand or toss it in the wash? Mind blown! Hand rinse my strap under running water after each sweaty run/ride. Toss it in the washing machine (remove the sensor first) every few weeks or so. I think of a HR strap as clothing – after a while it needs a wash and will eventually fail but “following the care instructions” should prolong that and help to minimise false readings. Usually warm soapy water and leave it to dry naturally. Without the advanced metrics like Running Dynamics, or the ability to use it in the pool like the HRM-Swim or HRM-Tri — like my existing Garmin straps already do — I don’t think this is something I will buy. I just hope that Garmin doesn’t interpret the lack of interest in this particular strap as justification to not support Bluetooth Smart in the future. Thanks DCR. Big improvement with the dual bluetooth channels. Does discounting the Pod from the strap after use actually save battery? or is this abit of a myth? Reason for asking is I keep losing the pod after disconnecting. If the pod is saving battery by being disconnected, it simply means the pod/strap is defective. Isn’t the point to prevent the pod moving and so waking it up “falsely”. I can see that sometimes with say my CABLE device – shake it a bit and it comes on. 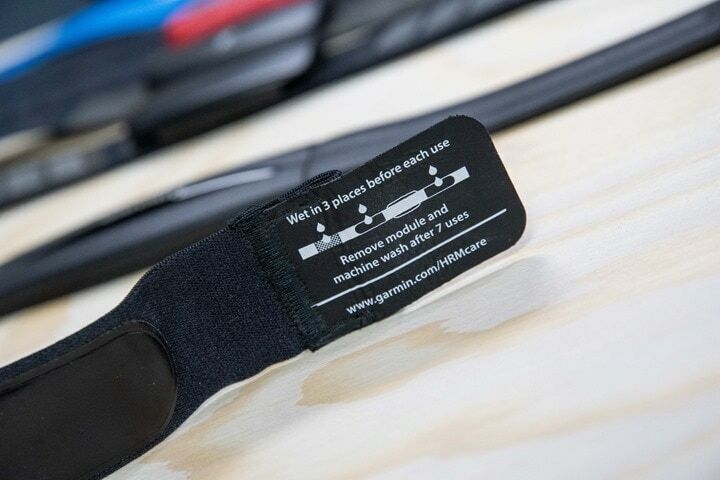 It’s not a myth – if the strap is moist it will keep measuring unless the sensor is disconnected from the strap. It’s enough to disconnect just one of the pads, but doing that will surely save battery. Short of it sitting in a wet bag, I haven’t really seen wet straps be an issue. One can easily validate this by looking at how quickly apps and watches will lose the connection after you take the strap off. Generally it’s within a few minutes. Again, not saying there aren’t exceptions – but they are usually indicative of a defective unit or something else amiss. Thanks for your in depth analysis over the years, you are extremely helpful and I trust your reviews. Can you please share your opinion on the effectiveness of optical (scocshe rythym 24) vs ecg (garmin) HRM’s? My scosche seems to be very erratic. Also, for guys like me with alot of body hair, do you think the body hair between the HRM and my skin affects the accuracy of either monitor? Thanks in advance and keep up the great work, I appreciate it. In general i get pretty good results from my Scosche 24. And eventually (heck, maybe even next week), I’ll write up a review on it. How did battery life almost double to 3.5 years from the older model? My guess would be more efficient chipsets. Given the new one is almost certainly using a new chipset that contains not just dual ANT+/BLE, but multi-channel BLE capabilities, it’s probably got a significantly lower power profile than something that was likely a 5-8 year old chipset. the hrm-tri/swim/run is different i imagine. Huh, I thought it was a year. Interesting, I didn’t notice the difference between battery on HRM-RUN/SWIM vs HRM4. I found a CooSpo dual Ant+ and Bluetooth on Amazon for $30 to replace my Garmin sensor when it died. It has a battery receptacle with a gasketed threaded cap that you can turn with a coin. I hate those miniscule screws! I haven’t used it in water, so no comment on waterproofing. But for running and cycling (real and Zwift), it “just works.” Just letting you know. Available from Aliexpress for $21.69 with free shipping. Be aware that the strap length on Chinese imports may be short. My Magene Dual is just barely long enough and I am not huge. Also, there may be an almost invisible plastic disc in the battery compartment that has to be removed in order for current to flow. Speaking of which, here is a Magene Dual HRM for $17.39. So, yeah, there’s good reasons to be suspicious of the HRV data from cheap chest straps. And if the HRV data is not accurate then all the Firstbeat metrics (which differentiate the inexpensive watches from the expensive ones) which rely on HRV are worthless. Arghh please tell me is ain’t so! Those four dreaded screws on the back. The problem with Garmin’s previous Ant+ HRM was they always arrived to the purchaser DOA or nearly dead and needed a battery replacement soon after purchase. A reading of their online reviews reveals this is an all-to-common occurrence. Luckily for me it occurred within the 30-day return window. Those screws on the back of the HRM are installed by a robotic gorilla and even after buying a special screwdriver sized exactly to fit, the screws on my Garmin HRM could not be removed. (I already had 3 other micro screwdriver sets and still had to find another one for Garmin’s special screws.) Many purchasers had the same experience – a problem never experienced on our Polar or Wahoo HRM’s. 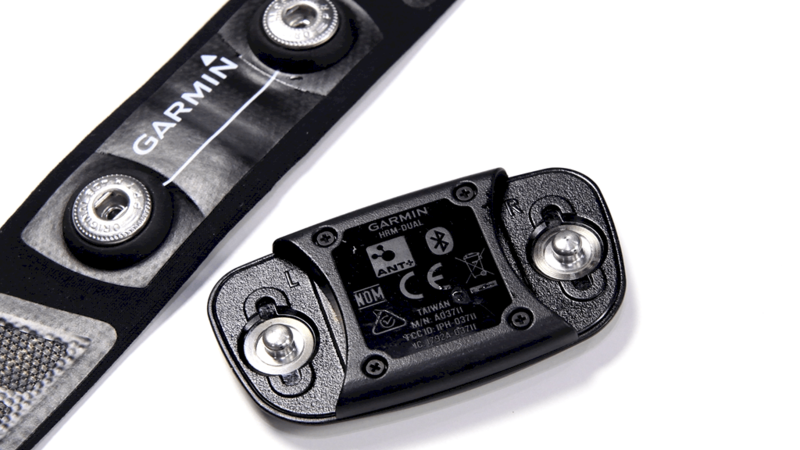 With Garmin’s new design, why not go to the screw-in, o-ring sealed battery door like others!? My Polar H7 is 6 years old and the battery seal is still going strong – and I use it 5 days a week. Agreed. I had to purchase the high precision German design screwdriver as well. The current cost (with S&H) is $11.49 for one screwdriver. Not a cheap screwdriver. Use a standard screwdriver and you risk stripping the Phillips head on the screw. Do that and the Garmin will be dead from corrosion in a couple of months. I dread changing the battery. So easy to loose one of those microscopic screws. The O-ring is tricky. Usually requires more than one effort to get everything working. Is there any chest strap with an on/off button? Waking my devices up seems to be an issue. I’ve all but given up on my polar H10, I need to literally beat the thing for 10 mins to get it connected correctly to my iphone or 935. Hmm, that just sounds like a defective strap to be honest (or a dying battery). I don’t know of any button-on straps these days. Back in the old school pre-Bluetooth Smart days, some Bluetooth (legacy) straps had it. But that was because the straps only lasted like 10 hours. someone tested with Samsung Gear S3 or Samsung Sport etc? Will this work as an ANT+ Bridge? Sometimes I want to use my rollers and Zwift. Never seemed to get my viiiii HR monitor to report proper power from SRM. Seems to be double but not quite. Any solutions you know about? Yup, got the Polar Vantage M review hopefully today or tomorrow, and then the next review out is the COROS APEX. Looks like the only thing new here is Garmin creating their version of something that already exists for less money. Now if they had their memory capability added to sync with swimming, running dynamics and bluetooth for this price, I’d consider it. otherwise, meh, don’t need it and wouldn’t buy it if I did. The first time I ever ran across your blog was your discussion of getting the Garmin HRM to fit the Polar chest strap because the Garmin straps were garbage. It’s still working, but when it dies or my kids move out and I can Zwift with Apple TV, why in the world would I prefer this Garmin dual to a 4iii HRM? There might be some smaller support type considerations, but yeah, in most cases if you want features over anything else – the 4iiii strap would win. This feature requires a Garmin® chest heart rate monitor. 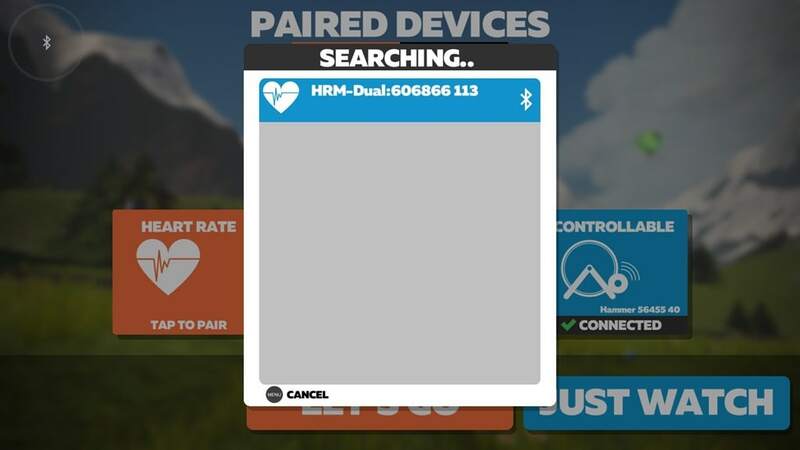 Before you can perform the guided test, you must put on a heart rate monitor and pair it with your device . a HR strap that also has memory to store several runs. I had been hoping Garmin would come out with one that had memory and handled Bluetooth and Ant+.I’m just at the point where I don’t want to wait any longer. 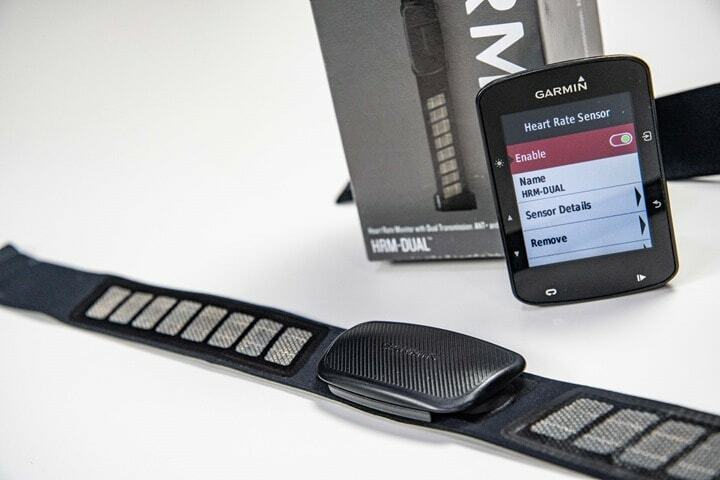 I’m sure as soon as I purchase a heart rate strap Garmin will come out with the exact version I want. Technically any ANT+ strap would have worked up till that point (since ANT+ requires HRV data be sent). Not sure off-hand if it would have accepted BLE data. I’ve read in several places that the Wahoo Tickr only transmits HRV data on BLE, and not over ANT+. This seems at odds with this^ comment about ANT+ requiring HRV data. Could you clarify? I think that Garmin say it should be a Garmin HR strap as that is a known known. If you get one that isn’t then Garmin have no real ability to influence if it works with their devices or not. So buyer beware basically. And besides a 935 without an HRM-Run or HRM-Tri isn’t going to give you running dynamics support. A 935 with the Running Dynamics Pod will give you running dynamics. Definitely true as I noted above. However, what I was referring to is that the ANT+ spec actually requires transmission of HRV/RR data if you want to be certified/listed. Doesn’t mean it has to be accurate, just has to be *something*. That’s why you see useless data from many optical HR sensors over ANT+, versus doing nothing/null over BLE. I need to go on a bit of a rant on this as well as the Soft Strap”Premium” Heart Rate Monitor that’s ANT+ only, since the monitors themselves appear similar from from the back. I used to use the above product regularly and had no complaints with it. That is, until I had to replace the battery. Due to years of sweat, the screws holding the unit together had rusted a bit and seized. I used quite a bit of WD-40 to get the screws unstuck, but the screw’s soft metal gave a little opening it up as well as securing it closed. A week later I was having problems with the unit (most likely a bad battery, I seemingly bought a cheap, faulty batch of CR2032s off of Amazon) and had to replace the battery again. This time, trying to open the unit again, I managed to cam out two of the screws. 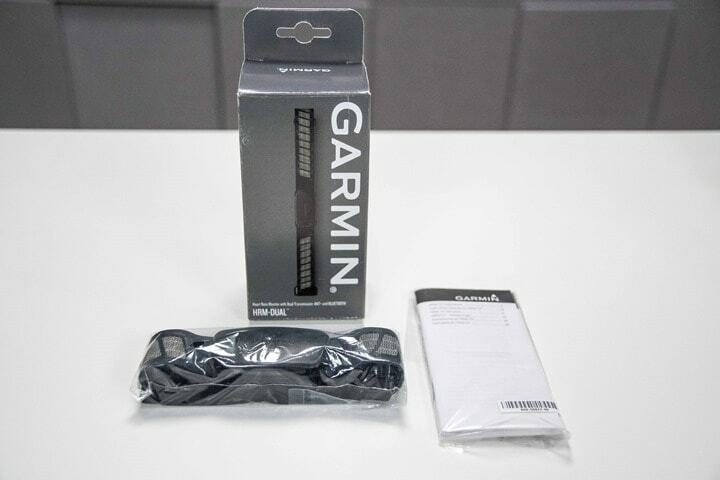 Out of frustration, I ordered this Garmin Heart Rate Monitor as a replacement (link to buy.garmin.com). Several reviewers on Amazon had been in the same position I was and bought this as a replacement for their “premium” Soft Strap HRM. Battery replacement is simple since it opens with a turn of a coin, no screwdrivers needed, and no screws to cam-out. Also, the heavier construction feels more sturdy and stays in position better than the old one. No having to reach under my shirt to reposition the strap and/or pull it up. Just my $0.02 from experience with those four similar looking small screws on the back of the HRM unit. Cheers. And I hope you, the Girl, and the nuts are enjoying yourselves in South Africa. It’s -9F/-23C with the wind chill out here in NY as I type this. One thing that I’m disappointed to see is the battery door mechanism. It seems like most other straps have a slotted quarter-turn door where you can use the new battery (or a nickel) to open and close it, as opposed to four tiny Philips screws that you need a jeweler’s screwdriver for and are very easy to lose. I have the old Garmin HRM and I find myself changing batteries before they are fully dead if I’ve got a major event coming up, simply because there’s no way I could replace it on the roadside. A lot of the others, you could just keep a CR2032 in your saddle bag and not have to worry. If you were buying a new HR strap now and wanted Ant+ and Bluetooth, would you go with this one, the Wahoo, or something else? Thanks. After going through multiple HRM-RUN and an HRM-TRI, I would never get a Garmin strap again. They work great until the first time you have to change the battery and they never seal back up properly again. Every one of those units has died after a battery change. Running dynamics are not very useful so I don’t care about them. I’ve switched to a Scosche Rhythm 24 and haven’t regretted it. link to garmin.com –> 404 You seem to be lost. 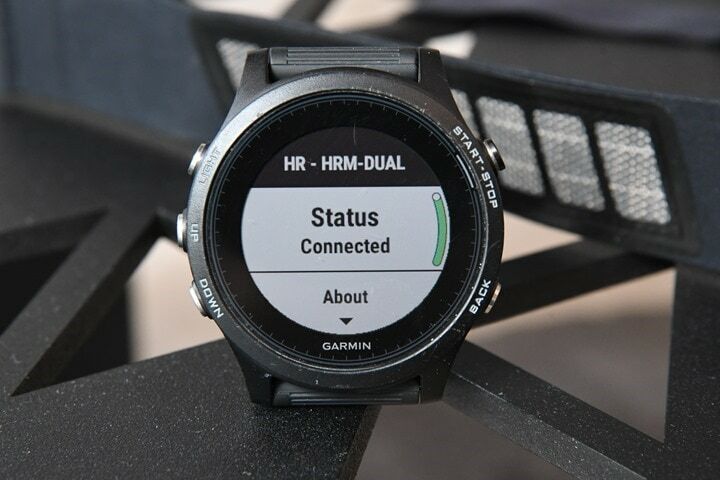 So Garmin wants you to care about the care of your HRM, but not really? No wonder their straps don’t last as well as Polar’s. FYI – This has been fixed. I’m told it was working for some people, but not others. Now, it should be working for everyone. I am wondering about the range of this (and other) heart rate straps. I have wahoo tickr run and I also recently tried an regular tickr, and both loose connection in certain cases. For example when speedskating and I swing my arm to the back, it loses the connection. An other case is cycling. When connected to my phone the connection is stable if the phone is one of the side pockets, however, if the phone is in the middle pocket behind my spine, the connection is unstable/drops (both Bluetooth and Ant+). I’d love to find a hr strap that has a stronger signal/connection. Is this garmin strap better? Or the Viiiiva? I haven’t done specific signal testing of HR straps, though, general observations over the last few years is that Garmin seems to transmit one of the stronger signals (on all their sensors). However, most signal/reception issues is a two-partner game. The sending devices but also the antennas on the receiving device. Some devices are less ideal (cough, Fenix 5S/), and the same true of sensors (cough, Stages Gen 1/2). One trip for you would be to rotate your chest strap so that the pod is on your side. That’ll get you good coverage for either side. It’s a tip I’ve used in the past when I’ve had one or more sides of the equation being crappy and need to cover both sides. Unfortunately I didn’t bring my NPE devices with me on my current trip to test signal strength on these. Sorry! Thanks for the reply and advice (and the review)! I’ll try the pod on the side for now. And hope to switch to a sensor with a better signal strength in the future if I can verify one that has. Good to know that Garmin has in general a good/better signal strength. Have you tested the belt with a Polar V800? I want to use the belt with my V800 and my Garmin Edge 520. No, I haven’t tried it with the V800. Sorry! Can you please review the Coros Apex first? Hope you have the beta firmware with Navigation support. Also, I’ve been in discussion with the Coros guys (very good support) on adding indoor gym profiles (cardio, HIIT, Strength training etc.) and the support mentioned to use Indoor Run profile for those activities for now until they update the firmware later. Can you also please test the Indoor Run profile mode when doing cardio and strength training? The COROS APEX is my next review, I suspect out either late Monday or Tuesday. One of the two. The Polar Vantage M review went out a few days ago. C) It’s overpriced for what it is. It is a pretty watch though, so I’ll give it that. And while the menu can be a bit weird at times, you do get used to it. I’m blah at best for the knob thingy. Does this mean that the monio is always transmitting bluetooth? Sorry, not sure what Monio is, but, the HRM-DUAL is always transmitting dual ANT+/Bluetooth Smart concurrently. You can’t turn one or the other off. I feel like I’m going in circles. I was thinking a few weeks ago to get an HRM Tri but then I realised it’s not advisable for the pool. I don’t really need it for swimming anyhow. Then I thought about the Run. Now there’s the Dual! I already have an RD Pod, so the Dual seems like the better choice… except it’s more expensive than the Run (at least on Amazon.de). Assuming I want to stay in the Garmin ecosystem, there are still too many choices! If you can get an HRM-Run cheaper and don’t want the “Dual” feature – i.e. Bluetooth pairing then get that one I suggest. You think the battery life isn’t a big deal? I guess it’s only a cheap watch battery anyway… as for comfort, it seems to be individual. I don’t get why Garmin has this confusing selection of products. I’ve used the CooSpo H6 heart rate sensors successfully for a couple years now. It’s Bluetooth 4.0 and ANT+. I’ve used both signals to connect with various devices, but I don’t remember testing both at the same time, or checking if it can connect with more than one Bluetooth device at the same time. They sell for around $23US on eBay, or $29US on Amazon. They have a standard C2032 battery with a round cover removed by unscrewing about 1/8th turn with the edge of a coin. No tiny cover screws. The module snaps onto standard replacement straps available for a few dollars each. Not flashy, but is cheap and works well for me. You may have to wait while a seller ships it over from China. No big fitness company to support it, but it’s a HR strap and just works. My philosophy is all HR straps are going to get tossed around and die eventually, so I limit my lost investment. I do not know where your wife buy batteries when mentioning that they usually last 2 – 3 years as mine usually last 3 – 5 months. That the HRM last only 3 – 5 new batteries is also more than what mine did in the past. 2 HRM devices lasted only as long as the OEM battery was in it. The HRM belts got bad when Edge 800 and the soft belt arrived. The belt that came with the 705 still last as well as new. The latest soft belt for my Edge 1000 (the third) is now almost a year old and I have changed the battery without problems, the HRM still function as it should and I found Li-Ion batteries and have one in there now so maybe that will last longer than the ones I used before. Maybe they are the ones lasting 2 – 3 years. About cleaning the straps they can easily be cleaned just once a week in lukewarm water with a mild soap (I use Assos soap I no longer need for bib shorts as I have hardened and no longer use padded pants). Some think that you need to spit on the contact areas to get good skin contact, I use water. So far I have never been riding without bringing water with me and the amount needed to get the belt contacts functioning is nothing that will leave me without water. I do not need to abuse any of my material and the HRM device should last as long as the computer it was delivered with. Oops, typo. Thanks! No, the CR2032 definitely wouldn’t work in that situation. I’ve had garmin hr sensors in the past. I currently have a Wahoo tickr. I had to change the battery today. So easy. Changing a battery in a Garmin is tedious. It’s actually interesting – BT5 has been used on a number of recent devices from a variety of folks (including Wahoo). But that doesn’t actually mean they take advantage of the dual features. And inversely, BT 4.1 (which is like 4-5 years old) can actually do multi-master BLE sensor connectivity. It’s just that virtually nobody has bothered to implement it. Since i read your review i started a try to replace Neo 1 with Neo 2 with my local bike dealer, last week i recieved a Neo 2 replacement and now all my probs are gone, seems the new chip in there is really much better, of course, think it’s again Bluetooth 4 but better. Or try to connect Vector 3 with Bluetooth, it’s a mess! The future must be BLT 5 (ANT+ is based on BLT), then the data transfer is fast as hell, it’s like you compare USB 1.0 and USB 3.0 or run a new and fast Computer with old and slow harddiscs instead of fast SSD. What is most valuable in this little new item – that we will see replacement straps being available for long time. Quick question. I have an almost brand new Garmin soft strap HRM. It works fine. The only reason that I got the Dual was because I use the Viiiiva for Zwift and Kinomap and the Viiiiva continues to give innacurate readings so I am done with it. My question is: can I use the strap from my old, regular Garmin HRM with the new HRM Dual monitor? They look identical…I would like to rotate the straps and so make the straps last longer. Thanks! What is the range on the sensor? I.e how far away could you have your watch /iOS device and still pick up the data…?